Our customers are our first priority. We maintain high standards of excellence in every aspect of our business. We treat our customers and partners with courtesy and professionalism. 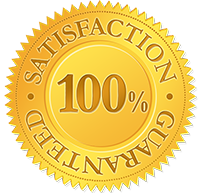 Every job is performed to complete (100%) customer satisfaction. "I would like to thank REStar Services for the great job that you've done it's been a lot of up's & down's after 65 weeks the Cleveland family gives VJ, Emily, Paul, Brian & whomever I missed an A+ effort on what's been happening over the last 65 weeks we can't say thank you enough!!" "REStar Services literally rebuilt our condo after Hurricane Irma took the roof off our condo. With our condo on the top floor water poured through the vents in all our rooms and destroyed floors, drywall and plaster. We were extremely fortunate that REStar Services was servicing a unit close to ours and offered to help. It took months until the new roof was in place, but REStar Services stayed with our unit and kept it from further damage. The picture of our condo in such disarray will never leave me, but to see it today warms my heart and I would highly recommend REStar Services to anyone in need." "Your team was just outstanding, very kind people… helped keep everyone calm and walked us through the entire process. I would recommend them to anyone." "Love all the work the guys did for me, it's fantastic. If I ever get around to doing more home improvement I will be sure to give you guys a call. Thanks a lot." "They helped us with the claims process and then coordinated the repairs for our home. I would highly recommend Restar Services to my family and friends. Thank you Restar." Our Technicians are always clean, polite and well-mannered. They will uphold our high standards of professionalism while in your home. Every job is performed to complete (100%) customer satisfaction. If you are in any way dissatisfied with work performed, please contact us immediately.